A couple of things are occurring to me at the moment. Firstly, if my diet on MyFitnessPal.com is right I should be a lot later. I’m not. Therefore I can only assume my calorie intake is miles off! Secondly, I can’t taper when I’m so tired from work! 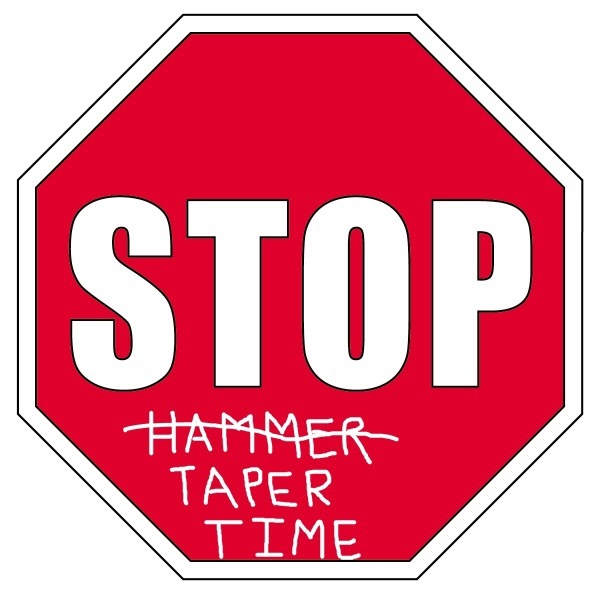 Unless tapering is not training! Then I’m fine.